We found a construction that throughout its history has suffered poor refurbishments and modifications that modified its previous appearance to adapt it to different uses and functions from the original conditions. At the same time, it has been being loaded with history and meaning in relation to its surroundings. This (more or less successful) adaptation to new uses seems to demonstrate that, in general, it allows to cover different functions. 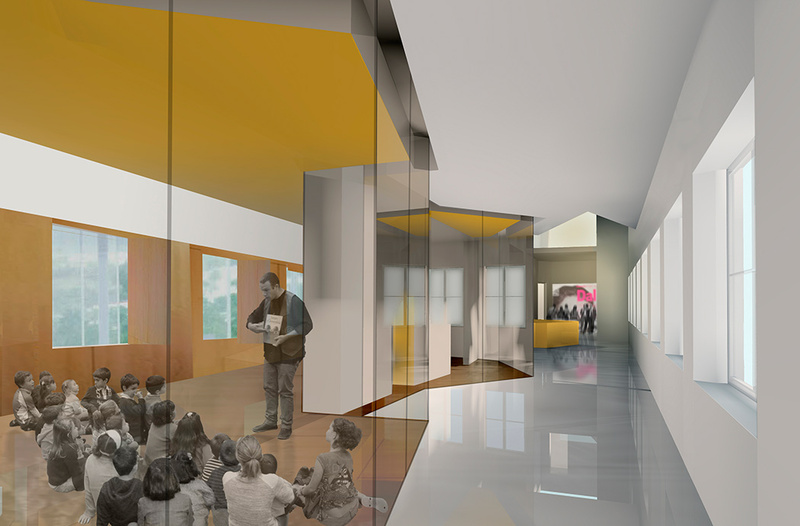 The proposed solution is combining the less formal complexity with the best space and functional efficiency. 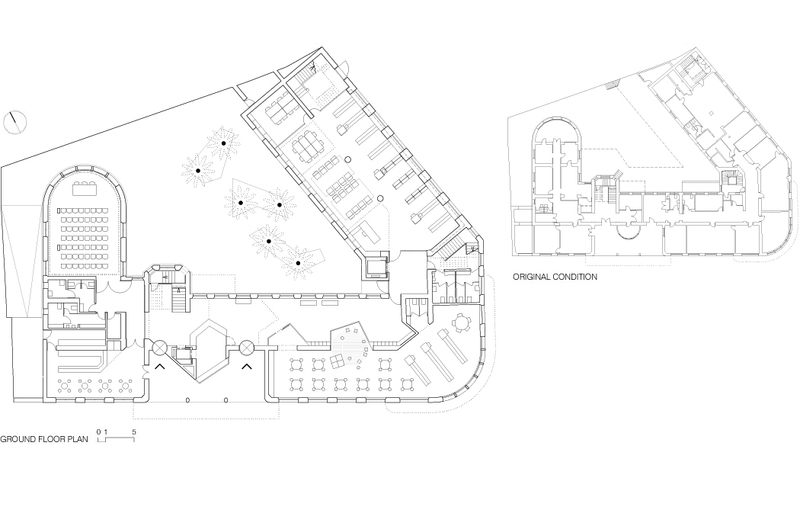 The existing construction develops in four levels, distributed in semi-basement floor, ground floor, first and second floor, that divides the program into two buildings -articulated through a large double height lobby- which can function independently without interfering with the activity of the other. On the left, the first building hosts on the ground floor the multi-purpose room and the assembly hall. On the first floor plan we find the computer rooms and the old collections and at the top level, the administration (department) is located. 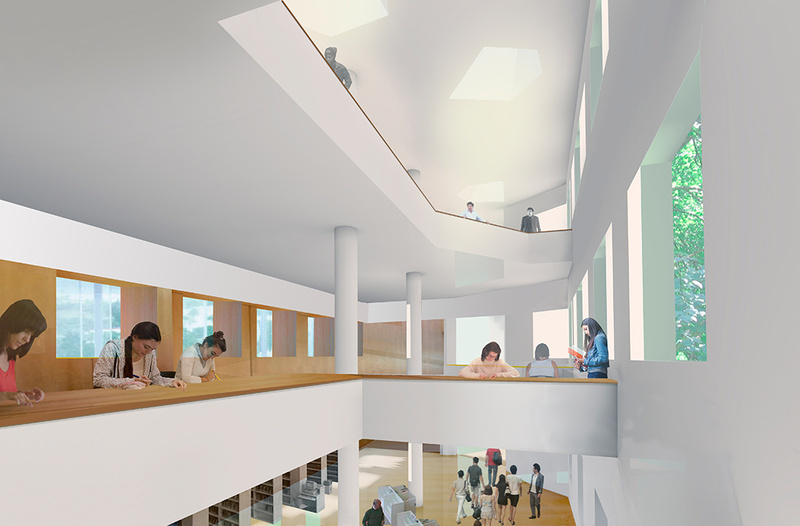 In the second building we find the library is with its different environments, comfortably distributed in three levels. What it is southg is the openning of the library to the new interior courtyard, thus facilitating the interaction between them and collaborating in the natural temperature control and lighting conditions. The upper reading rooms coexist with the tops of the recently planted palm trees, integrating into the library as if they were part of it.